NAIROBI — At a workshop in 2013, the Nigerian writer Chuma Nwokolo came up with a thought-provoking exercise: He asked the more than 40 assembled African thinkers to inscribe their own epitaph. Adesanmi’s death, along with 156 others, on the ill-fated Ethiopian Airlines jet that crashed early Sunday has spurred waves of mourning across the world. In Adesanmi’s native Nigeria, tributes to the well-known professor, author and cultural critic have overflowed from all corners of the country’s exuberant literary world. In videos of speeches he gave, a picture emerges of a man both in love and at odds with Nigerian culture. In front of rapt audiences, he would decry what he viewed as the “mediocrity” widely accepted by his countrymen, while also employing tender phrases in Yoruba and pidgin English, two of Nigeria’s most widely spoken languages. He had no trouble enthralling a whole room. In his last column, posted the day before he died, Adesanmi ruminated with characteristic aplomb on Nigeria’s current affairs. That day, Nigeria held state elections that observers criticized for alleged military interference. Two weeks earlier, President Muhammadu Buhari was reelected in a poll marred by delays and violence. 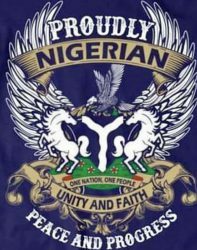 “Sadly, I think our people have been psychologically defeated and have come to accept and love these things about Nigeria. They turn on whoever tries to awaken them. Nigeria’s irresponsible rulers have us where they want us. I write basically these days for the purposes of archaeology. A thousand years from now, archaeologists would be interested in how some people called Nigerians lived in the 20th and 21st centuries. If they dig and excavate, I am hoping that fragments of my writing survive to point them to the fact that not all of them accepted to live as slaves of the most irresponsible rulers of their era,” he wrote. The Nigerian Canadian professor taught at Carleton University in Ontario. More than 40,000 followed him on Twitter, where he sparred with Nigeria’s feisty readers. He was a mentor to many young African writers. “Some of the students have been hanging around the makeshift memorial at the Institute all day. They can’t believe he is gone. Pius lived well. He affected a lot of people. He made time for his students. He listened and believed in them,” Bacon told Nigeria’s Guardian newspaper.